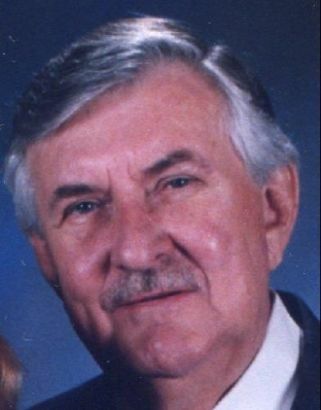 It is with great sadness that we inform you that Robert Worthington, P.E. passed away at 4:30 PM on Monday, February 1st, 2016. Bob was admitted to an area hospital on Sunday night after complaining of abdominal pain. Emergency exploratory surgery on Monday revealed an extensive intestinal infection with no possibility for survival. Bob was made comfortable and passed away shortly after surgery. He was 82 years old. Bob’s 60-plus year career in the fire sprinkler industry spanned virtually all aspects of our business from system design, education, special hazards, international sales, research and development, manufacturing operations, and senior leadership positions at Grinnell, Star Sprinkler, Central Sprinkler, and finally as the owner of Globe Sprinkler in Standish, Michigan. Throughout his career, Bob was instrumental in many of the changes that shaped the industry as we know it today. Bob was an active member of the AFSA, NFPA, NFSA and SFPE. In recognition of his lifetime contribution to the sprinkler industry, Bob was awarded the prestigious Golden Sprinkler Award in 1997, the highest honor bestowed by the NFSA. At a time when U.S manufacturers outsourced production to low-cost countries, Mr. Worthington focused on building overseas demand for USA produced products, with a commitment to quality and service. Globe Sprinkler has been twice recognized by the State of Michigan for creating manufacturing jobs, adopting transformational employee training and development. During Bob’s 20-year stewardship of Globe Sprinkler, employment grew five-fold, and today is the largest employer in the region. This stewardship has been passed on to son Steven, who assumed operations and ownership of Globe in 2013. In both personal and professional life, Mr. Worthington believed in supporting the communities where he lived and worked, and to further advance life safety through his active support and participation in professional fire protection associations. Among the charitable organizations Bob supported were the Good Samaritan Homeless Rescue Mission in Bay City, Michigan, Common Voices coalition for a Fire Safe America, and multiple burn camps for children that have suffered severe burns. Above all, Bob will be remembered for his passion, integrity, and commitment to relationships, be they family, friends, or business partners.